For older women, menopause is lurking on the horizon, waiting to wreak havoc in their lives. 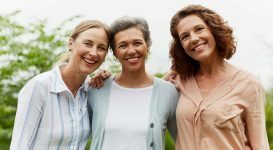 There will be an unprecedented number of women who will be entering menopause in the coming years, as a result of the baby boomer generation coming to age. Menopause is the process of a woman’s period ceasing for at least twelve months and occurs after the age of fifty-one, on average. 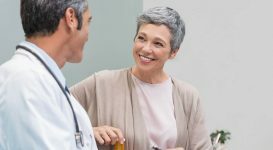 The duration of per-menopause can be between two and ten years, usually ending a year after the cessation of menstruation. The ovaries begin to shut down and estrogen levels decrease. Symptoms such as irregular periods, night sweats, vaginal dryness, and hot flashes crop up. 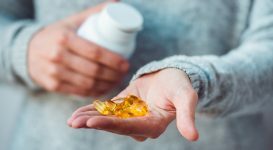 Though the symptoms are unpleasant, the decline in estrogen can predispose a woman to cardiovascular disease, osteoporosis, and possibly Alzheimer’s disease. Phytoestrogens found in soy products are promising alternatives to estrogen. You can find these in flaxseed oil as well. 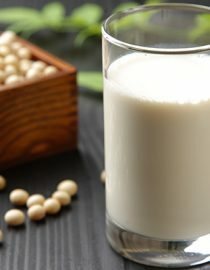 A one 8-ounce glass of soy milk a day may ease the symptoms of hot flashes and may help protect the heart. The extra calcium in soy milk is good for bones as well. 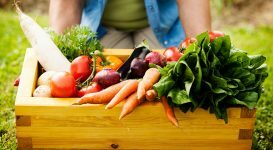 Products like tofu and tempeh are great sources of phytoestrogens. This herb is excellent for hot flashes, according to research studies. It does not behave like estrogen, and so reduces the concerns about any effects to hormone-sensitive tissue in the body, like the uterus. Black cohosh is safe to use for most women. Red clover works in the same way as black cohosh and studies report few side effects. Dong quai has existed for ages in Traditional Chinese medicine to treat women-related conditions. 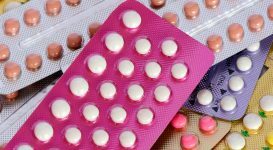 It should not be taken if you have fibroids or blood-clotting issues, or you take warfarin. Ginseng is used for mood issues and sleep problems, as well as improving one’s sense of well-being. Though it does not help hot flashes, it may improve your mood and lessen sleep disturbances that are associated with menopause. Kava is an herb known to help decrease anxiety. It needs to be used with care, because too much can damage the liver. This oil can be useful in relieving hot flashes. Do not take if you are on any anticoagulants or phenothiazine. Black, P. (1999). 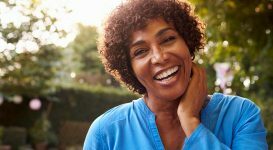 Menopause: Easing the Transition. Businessweek, (3652), 194E2-194E4. 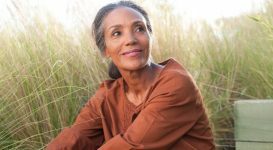 Understanding these stages of menopause will help you to understand and prepare yourself for what's coming. You might also like...What Can I Do to Deal With Menopausal Hot Flashes?